← The Prehistoric Forest and a Sea Potato. 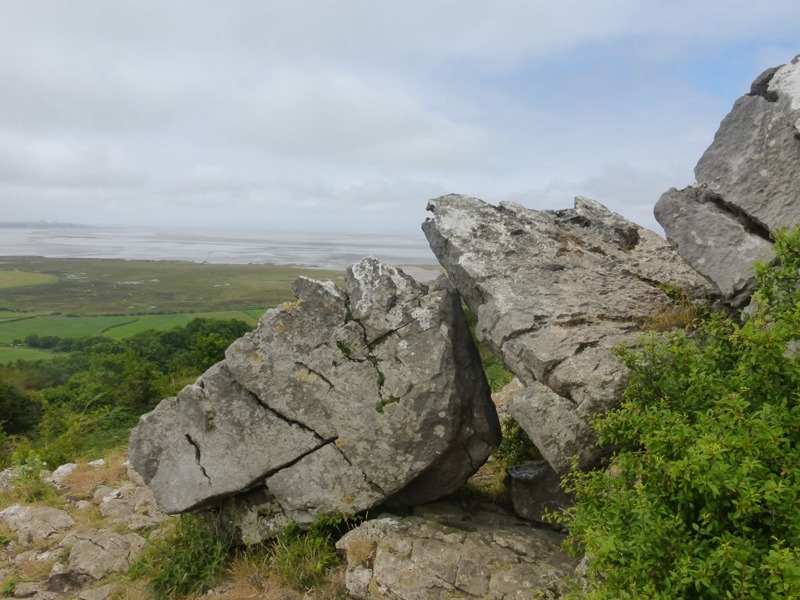 Warton Crag and Jenny Brown’s Point. 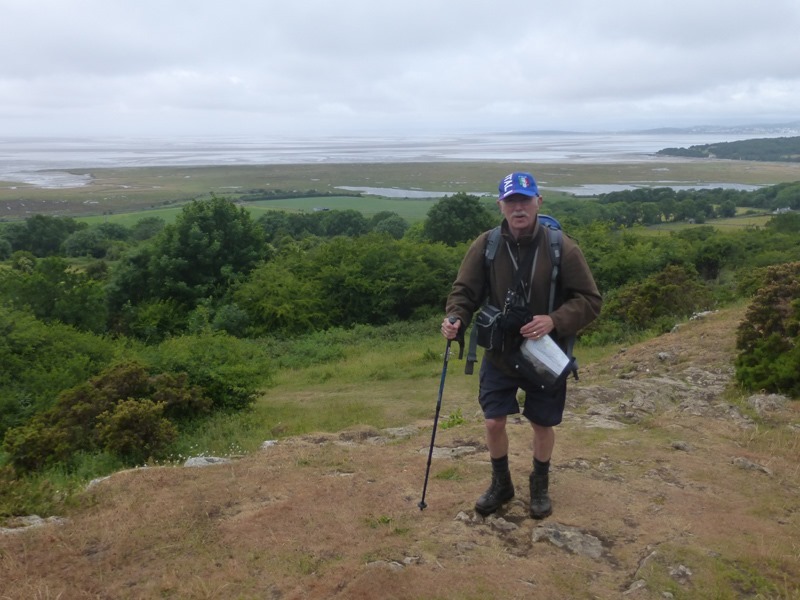 My walk this week was in north west Lancashire where our plan was to climb Warton Crag. 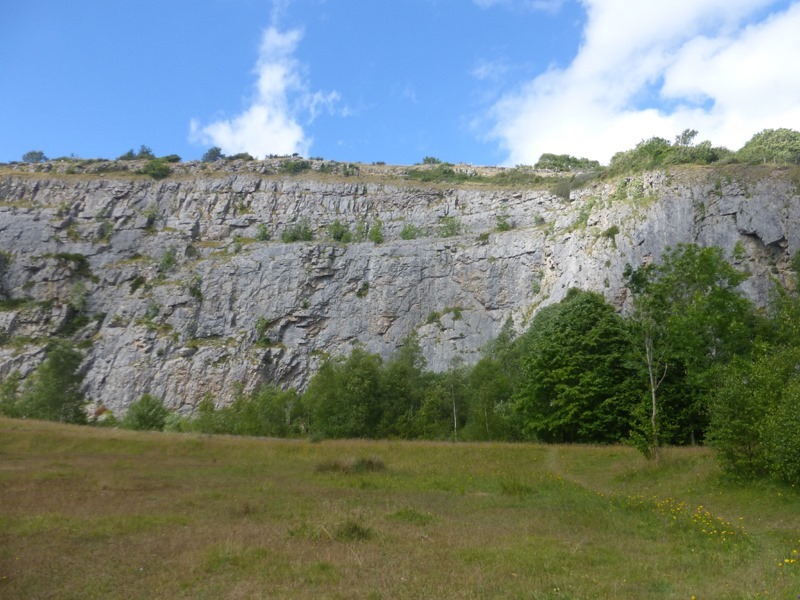 We parked at Warton Crag quarry which is a Local Nature Reserve. We had hoped to see some rare fritillary butterflies, but not today. It was dull with just a fine drizzle. We expected the climb to be easy, it was not. Our route description proved useless. There was a myriad of paths crisscrossing each other. Which was the correct one? We just used our GPS and headed upwards. We had to pass through several rocky outcrops which involved a bit of scrambling. The limestone was wet and very slippery, we had to be careful. 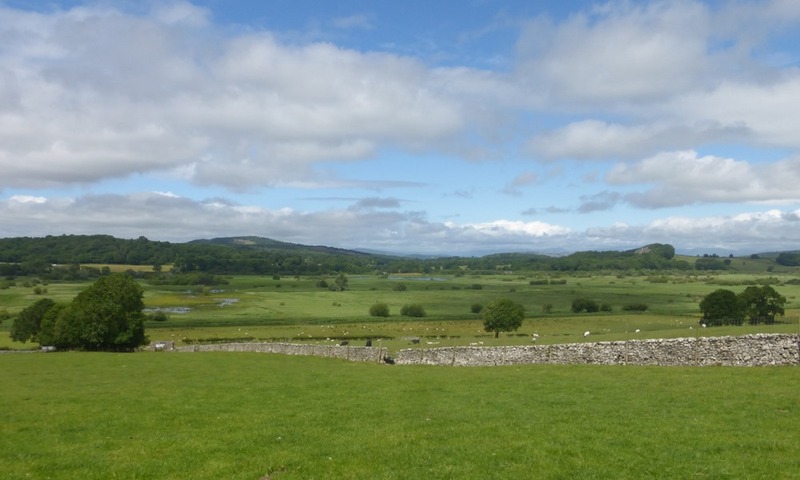 As we gained height we could look across Morecambe Bay and along the coast towards Silverdale and Arnside. 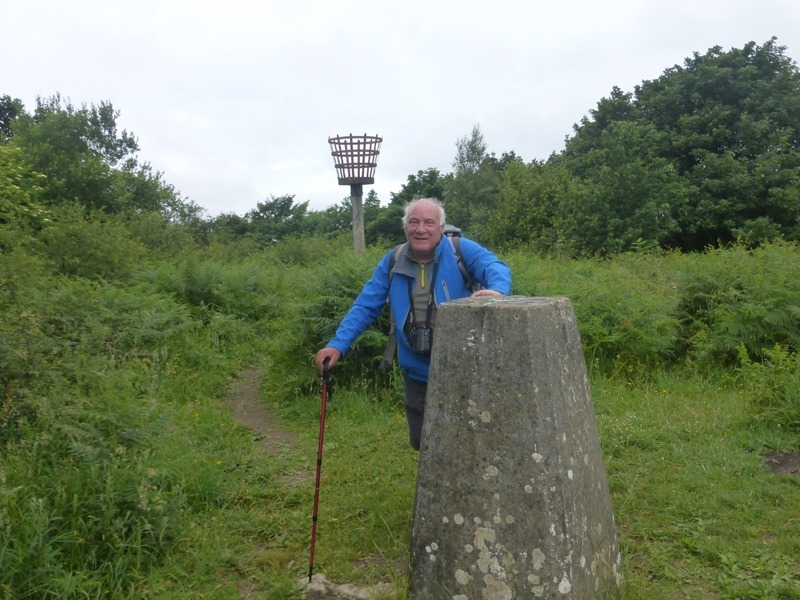 At the top of the crag there is a trig point and a beacon. The beacon was last lit for the Queen’s Diamond Jubilee celebration in 2012. We descended through Strickland Wood to reach a clear path which led us to a minor road. After a short section of road walking we headed east along a path through woodland and then open grassland. To our right was Leighton Moss RSPB reserve. At Crag Foot we joined the road which would lead us back to the car, but we would only have walked 5 miles. We needed to extend the walk. 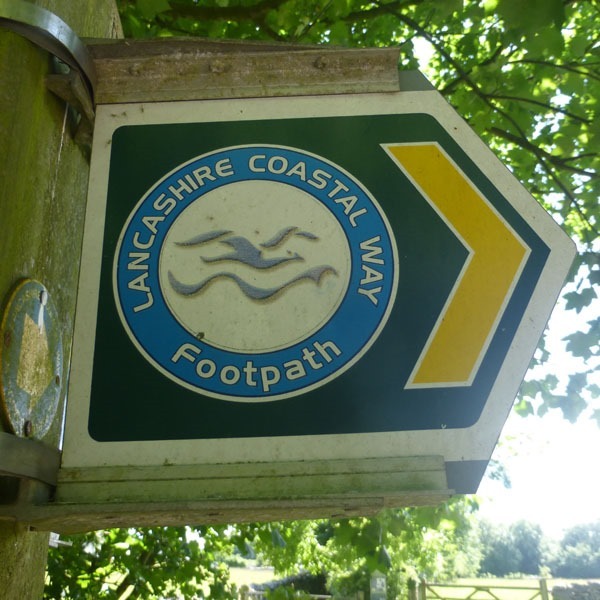 After studying our map we decided to add on a 3 mile circuit taking in a section of the Lancashire Coastal Way. Passing under the railway bridge we through an area of salt marsh. 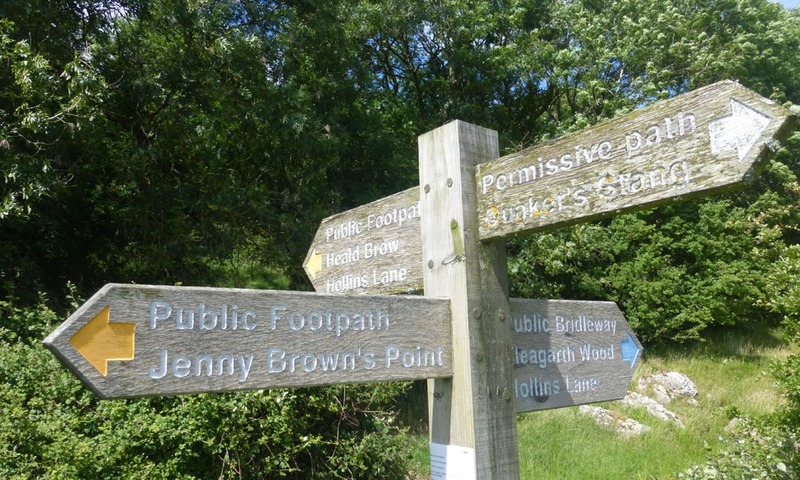 We reached a signpost and had to decide which way to go. We headed for Heald Brow. There would be a short, stiff climb. Better to get it over with first. We then dropped down towards the coast heading for Jenny Brown’s Point. We made a short detour to Jack Scout, a viewpoint at the top of some low cliffs. 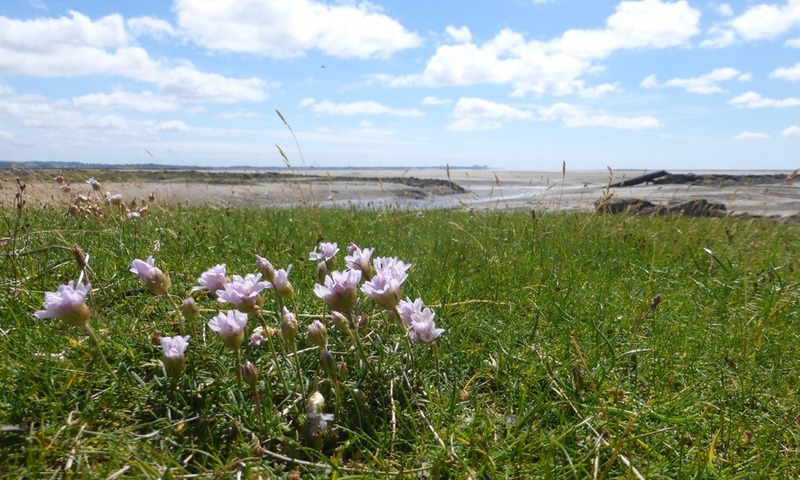 It is a popular place from which to view the sunset over Morecambe Bay. 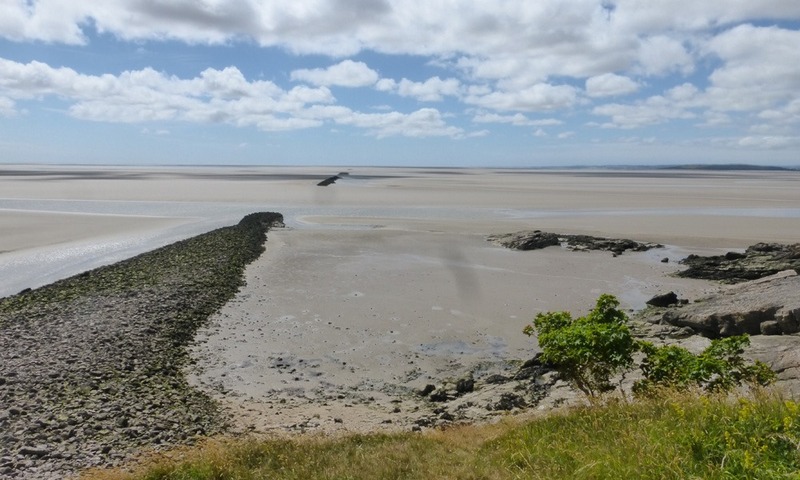 Jenny Brown’s Point, just south of Silverdale was very interesting. There is the remains of an old sea wall. 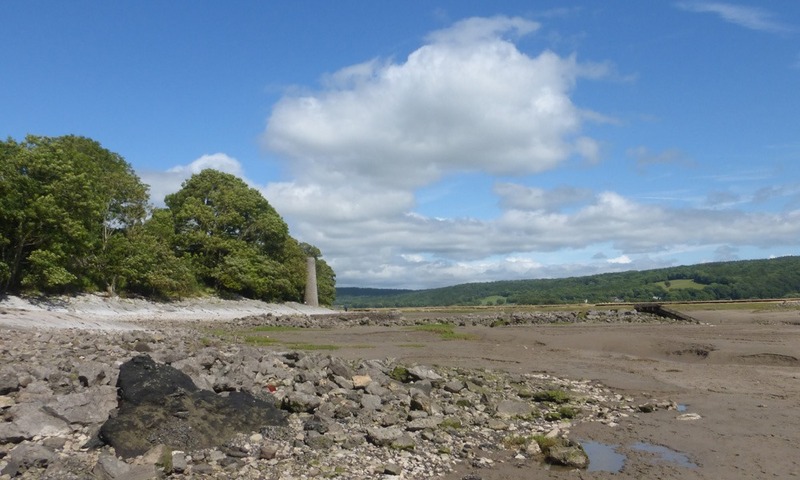 Construction began in the mid 19th century in an attempt to reclaim Silverdale Sands but work was abandoned as it was both expensive and ineffective. 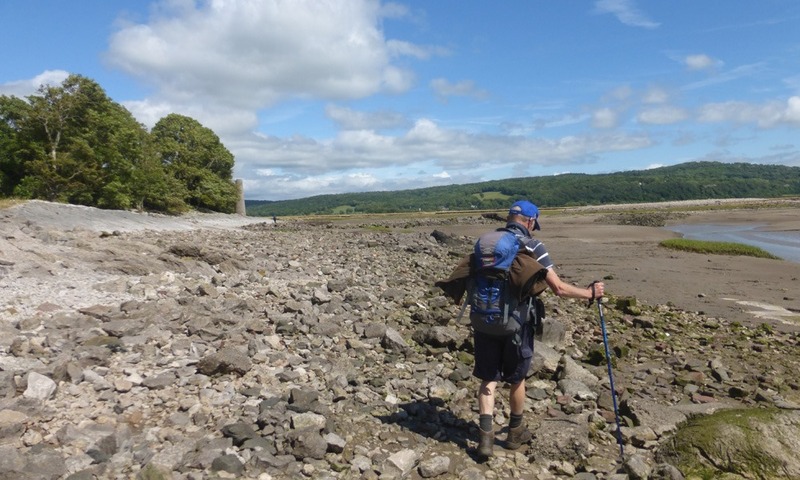 We continued along the rocky beach heading for the remains of an old chimney. The origins of the chimney are not really known but it is thought to belong to some old copper smelting works which existed there from 1780 –1820. The sky had cleared and the sun was out. 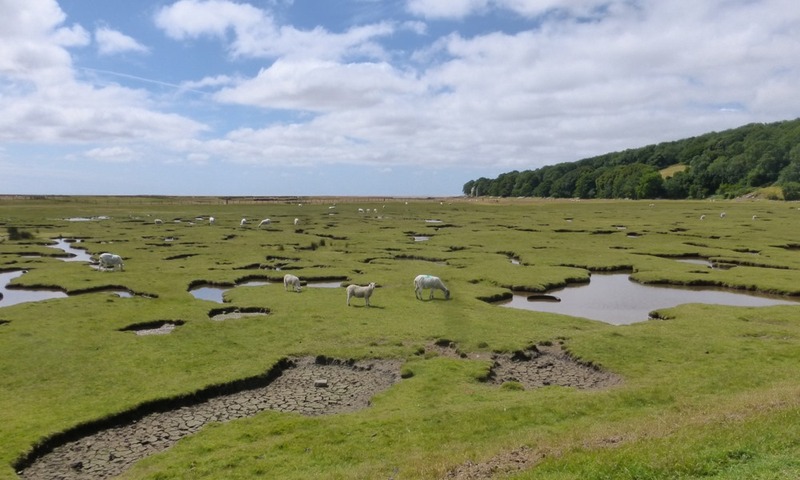 It was very beautiful and peaceful as we made our way back across the saltmarsh. It had been a good day out. Only 8 miles and 1250 ft of ascent but lovely scenery and a bit of local history in an area that I had not really explored before. My aim is to create a photo diary of my walks and my travels. I have two main hobbies, walking and photography and these complement each other. I am a senior citizen, what used to be called an old age pensioner, but I don't feel old. Since retirement I have had more time to pursue my hobbies and the opportunity to travel more. My philosophy now is - Do what you can, while you can. My other interests are fine wines and keeping fit. These may not complement each other but keep me happy. This entry was posted in Adventures with Les, Industrial Heritage, Lancashire, Local History, Photography, Walks. Bookmark the permalink. The 300 plus club visit Bolton By Boland. A stroll through Ainsdale Dunes. Madeira, the North West tour. An afternoon in Camara de Lobos. ms6282 on Roaming round Rivington. crosbyman66 on Roaming round Rivington.